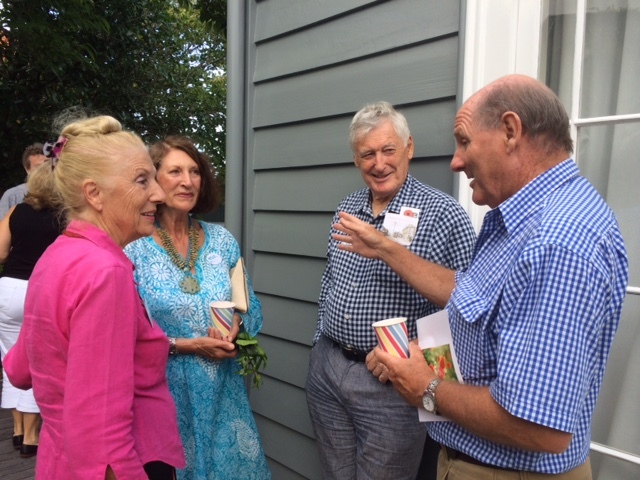 On a sunny Sunday 20th March 2016 Parnell Heritage hosted a very successful Garden Party at the heritage home of Emmet Hobbs, 5 Bradford Street, Parnell. Over thirty guests enjoyed delicious finger food, wine, iced tea and beautiful music provided by flautist sisters Audrey van Ryn and Hazel Lamb. Emmet spoke enthusiastically about his garden and his plans for the future. For Emmet the garden is a ‘work in progress’, having started the transformation of his home’s setting a little over two years ago when, assisted by garden designer Zoe Caregiver, who works with Xanthe White, the large task of creating an altogether new enchanting setting for his home was begun. Both Zoe and Xanthe had previously worked together on successful entries in the Chelsea and Singapore garden shows so 5 Bradford Street was a different kind of challenge. Emmet has created a series of tranquil outdoor spaces for family and friends to enjoy. 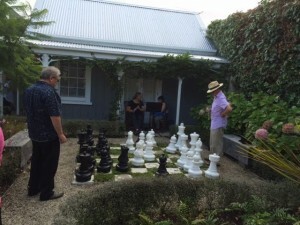 There are four stylish gardens surrounding the house, each with their own character: at the front a native garden, to one side a chess garden graced with a large chess set, and at the rear a kitchen garden and a special borderless garden. A sales table offered copies of past and present editions of the popular Parnell Heritage Journal and other publications for purchase. Emmet and his family were wonderful hosts and this enjoyable event is likely to be repeated in spring. 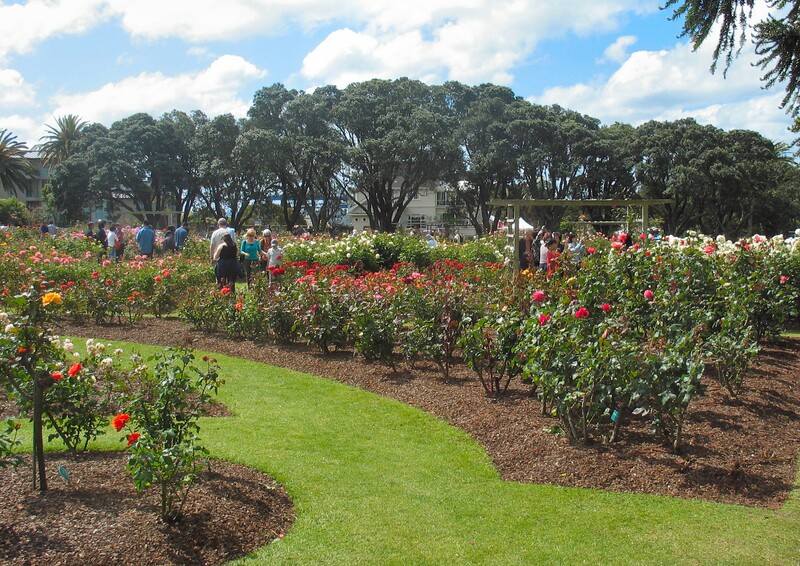 The 2015 Rose Festival was an outstanding success, showing the best roses in Parnell’s historic location. Make sure you visit us at the event in November 2016. 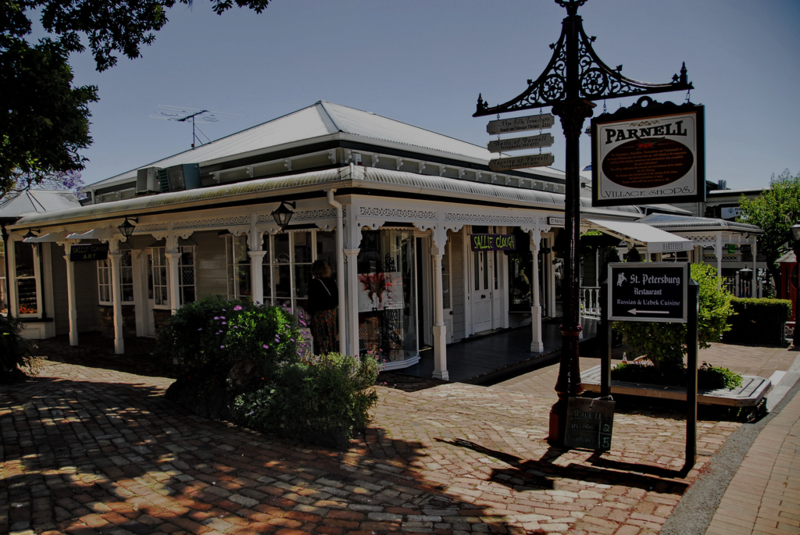 Ten dedicated years were celebrated by Parnell Heritage members and supporters at The Strand Tavern, Parnell, on 17 March 2015. This reflected on the currency of the purpose to promote the protection and growth of our suburb. Among those present were some of the inaugural members. Our current Chair, Mary Barry, paid tribute to those who founded Parnell Heritage ten years ago and the hard work they have done to build the organisation and make it grow and prosper. She thanked the current members of the Executive for their contributions and highlighted the challenges we face in the current environment, in particular engaging with Auckland Council and other stakeholders in mediation on the Unitary Plan. Kate Wiseman (formerly Tolmie Bowden) reminisced about our first meeting at The Strand and noted how nice it was to see a mix of original and new members attending the anniversary. She recalled that at the inaugural meeting there was considerable discussion on whether the society should be named ‘Heritage’ or ‘Historic’. Kate mentioned the two formative meetings: one was held in the Jubilee Centre, and the second in the basement of the Windsor Castle. .
Kate also acknowledged how lucky we are to have neighbours like the Coles who bought and saved the Paykel house and the land around it. 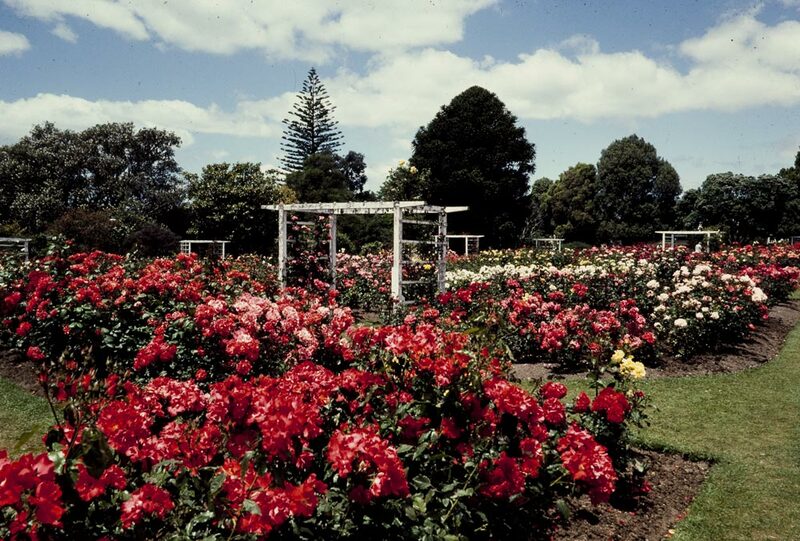 We enjoyed some traditional pub fare – cashew nuts, hot chips and tomato sauce; and the trains crossing the adjacent railway bridge were as noisy as ten years ago, reminding us of the bustle and vitality of Parnell.